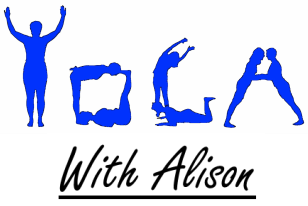 To make sure that you are kept up-to-date with the very latest news from Yoga with Alison please complete the form below and click on the "Sign-Up" button. By completing this form you are giving us permission to send you emails about changes to timetables and other important information about Yoga with Alison. ​You will be able to unsubscribe at any time by clicking the unsubscribe link contained in those emails.